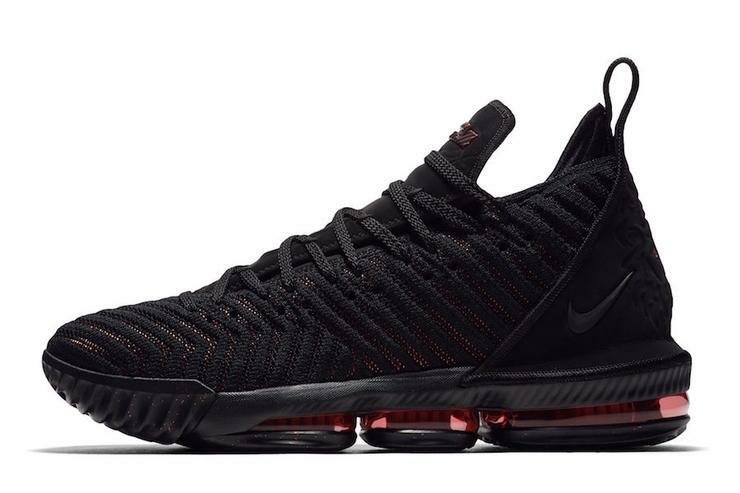 LeBron James’ newest signature sneaker, the Nike LeBron 16, will release tomorrow, September 20, in a “Fresh Bred” colorway that features a predominately black build accompanied by hits of varsity red. The picks will retail for $185. Ahead of the sneaker’s release, Nike and LeBron 16 designer Jason Petrie recently broke down the specs of what went into James’ 16th Nike signature. First off, the LeBron 16 introduces Battleknit 2.0, an evolved version of the scalloped knit that first debuted on the Lebron 15. According to Nike, its structure increases tensile strength (important to contain James’s lateral force on court) and it has an elegant finish matching James’s current style. According to Nike, the LeBron 16’s other notable feature is its height. At LeBron’s request, Petrie formed the shoe with a lower collar, which allows the athlete to move more freely.